A career guide for international geospatial professionals looking for employment in Canada in GIS, remote sensing, surveying, geodesy, and geomatics engineering. In addition, you will receive enhanced resume and cover letter templates that you can use for your own applications. This guide really helped me find a GIS school in Canada which led to a great job. Just what I was looking for to help me move to Canada and find a job in GIS. I was lost trying to find work in Canada and this guide put me on the right path. Thanks GoGeomatics! Had useful advice for writing my resume and applying for Canadian jobs. The International Employment Guide to Geospatial Careers in Canada is written for English-speaking geospatial professionals (GIS, remote sensing, surveying, geodesy, geomatics engineering, etc) outside of Canada who are interested in working in Canada’s geomatics sector. Get advice from Canada's leading expert on geospatial careers in Canada. This guide contains the best strategies for finding work in GIS, remote sensing, geomatics engineering, and surveying and in Canada. You will reduce the amount of time and effort it will take to find a job in Canada. Geomatics is the science and technology of collecting, manipulating, presenting, and using spatial and geographic data. Geomatics is a broad terms that ranges from traditional land surveying to GPS and 3D laser scanning. Satellite and aerial imagery analysis, GIS, and cartography are also included. Finding meaningful work can be a long, difficult process, even for those who are looking for work in their own country. Competition in the Canadian geomatics field is fierce; most GIS jobs posted see 100-200 resumes. This guide will provide you with strategies, tips, and resources to overcome many challenges and help you succeed in the Canadian job market. One of the best ways to come to Canada is through education, by enrolling in post-secondary school. A student visa is easy to obtain, and once you are here for your studies you can more easily network, learn about Canadian culture, look for jobs, and apply for permanent residency. Canada has a broad immigration policy, and is known as being very receptive to immigration, which is reflected in the country’s ethnic diversity. Canada receives its immigration population from over 200 countries of origin. Many people around the world have used the strategies in our employment guide to geospatial careers in Canada. The employment guide helped me to understand a lot more about the opportunities in Canada when I was looking to move there and find a GIS job. The text is easy to understand and gathers all the important information I needed about Canada and the job market. Amazing! GoGeomatics Canada’s guide helped me finally understand what I needed to do to apply for jobs in Canada. This e-book made it so clear and easy to understand. Helped me so much. My goal was to start a new life in Canada by going to school and working there. This guide helped me do that with the information I needed to get started. I was surprised how useful this book was. Applying for Canadian jobs online was hard. Once I read this guide and followed some of the advice I began to hear back from companies in Canada looking for my skill set. The strategies provided in this guide are the results of years of experience from Jonathan Murphy, Managing Director of GoGeomatics Canada and Canada’s geomatics career coach. 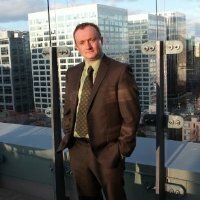 Jonathan has been mentoring geospatial professionals in Canada’s geomatics job market for over five years. He has spoken at national conferences on issues related to employment, and gives a series of career seminars to job seekers across Canada. Jonathan has over 15 years of experience in geomatics and IT, and is a Fellow of the Royal Canadian Geographic Society. He holds graduate diplomas in GIS and Applied Geomatics Research. Jonathan is one of Canada’s foremost experts on employment and hiring in the geomatics sector, and in 2014 helped the Canadian government and the Canadian Geomatics Community Round Table to create the The Pan-Canadian Geomatics Strategy. An e-book that provides advice and resources for international geospatial job seekers looking to move to Canada to work in GIS, remote sensing, surveying, geodesy, geomatics engineering, and programming. This link Takes you to our PayPal System for payment using VISA, Mastercard, or Paypal. No Paypal account required. 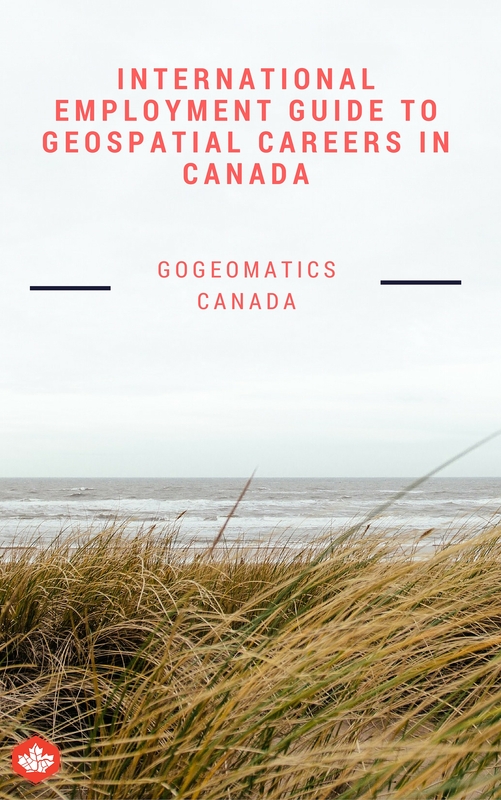 GoGeomatics Canada is always happy to answer questions from visitors who are thinking of purchasing our guide but we do not reply to general queries for employment advice. Response times can vary but most inquiries are responded to within 48 hours. Visit the GoGeomatics Canada network of Social Media channels for jobs and networking events .